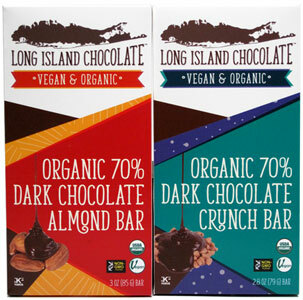 These rich and delicious vegan chocolate bars from Long Island Chocolate give you plenty of delicious flavor without the dairy! 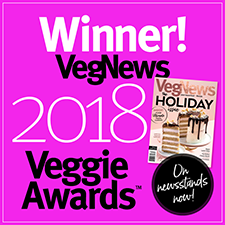 Made with their own exclusive 70% cacao organic dark chocolate with traditional hand-made artisan techniques, giving you old-world quality with modern flavor twists! 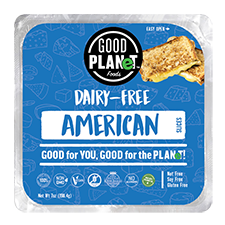 Gluten-free, fair-trade, kosher certified and GMO-free. Available in 3 flavors- Dark Chocolate Almond, Dark Chocolate Pretzel and Dark Chocolate Crunch (packed with gluten-free crispy puffed bits in every bite!) 3 oz. bars are $5.49 each.